SAN JUAN (AP) — The world’s biggest cruise ship has docked in Puerto Rico for the first time as the U.S. territory reports a boost in tourism amid an economic crisis. Royal Caribbean’s Harmony of the Seas arrived Wednesday in the historic district of the capital of San Juan. The ship can carry up to 6,700 passengers and 2,300 crew members. The arrival follows an $8 million port renovation. Gov. Alejandro Garcia Padilla says Puerto Rico expects to welcome a record 1.7 million cruise ship passengers next year. Norwegian Sky will cruise from Cuba. 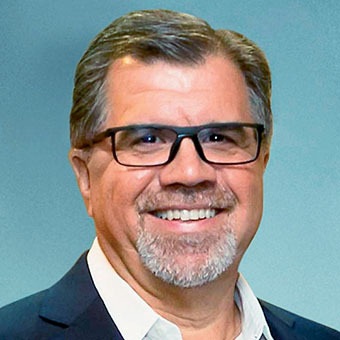 Norwegian Cruise Line Holdings CEO Frank Del Rio has been seeking permission for his U.S.-based cruise ships to dock in Cuba for over a year. On Dec. 7, the Cuban-born Del Rio was called to Havana to sign agreements that finally enable all three of the company’s brands to sail there next year. He spoke with senior editor Tom Stieghorst about the process. Q: Were you aware when you were down there that the other cruise lines had also been approved? A: I was pulling into the terminal building where the signing ceremony was taking place, and as I was pulling up with my driver and my team, [Royal Caribbean Cruises Ltd. president and COO] Adam Goldstein was walking out with his team and we exchanged pleasantries as we always do, congratulated each other and had a good laugh about it. Q: So you almost had a CLIA quorum? A: Adam even mentioned that. He said, “Frank, I understand there’s a CLIA meeting today,” so that was one of the reasons we had a good laugh. Q: What building were you in and who were your Cuban counterparts? A: Oh, there’s too many to mention, and they may not want us to mention them, but the ceremony took place at the terminal building where the cruise ships actually tie up. It’s a very nice building. As I told the officials there, I think that terminal facility is as nice a facility as any in the world, certainly the premier one in the Caribbean basin and Central America that I’ve been to, at least. Q: Do you plan to visit other ports besides Havana? A: We do, but not in this first round that covered 10 sailings of the three brands through May 31. Q: Do you have any insight as to why the Cubans acted now? A: I don’t. I think one could speculate. Is it because Fathom pulled out? Is it because of the rhetoric around president-elect Trump’s views on Cuba? It could hypothetically mean that after some time Cuban authorities felt comfortable with additional cruise lines. I didn’t ask. I don’t really care. I’m just happy as all can be that we’re finally in. Q: Will this be too much at once? Is there anything that concerns you about the infrastructure arrangements? A: No, on both counts. Because of the infrastructure limitations, the maximum number of vessels in Havana at any given point in time are two: a mid-size vessel like a Sky or a Marina, for example in our case, and one smaller ship, like an Oceania R ship or Regent Mariner. So the number of cruise guests who can be in Havana at any given time is in the 2,500 to 2,700 range. Havana’s a large city. Cuba handles over 3 million tourists a year. So I don’t see that as a burden whatsoever. Q: Will your shore-excursion department plan the people-to-people program? Do you have someone in Cuba that can help? A: Both. I don’t see the shore excursions that we would offer in Cuba to be significantly different than the ones we provide when we go to any major historical metropolitan area. Whether it’s Rome or Istanbul or St. Petersburg, Russia, our target customer, especially for the upscale brands, isn’t going to the beach when they go to the Greek islands; they aren’t necessarily going to the beach when they go to Hawaii. They’re looking for experiences, they’re looking for cultural exchanges, they’re looking to visit museums and things of that nature. That’s a lot of what Havana has to offer. Technically, Seabourn‘s new Seabourn Encore has already launched, but its official inaugural sailing is scheduled for January 7, 2017, making it the first in the new year. The 600-guest ship will have all the luxuries of the preceding Odyssey-class and more thanks to a slightly larger design. Viking Cruises will continue its rapid expansion with the launch of its third oceangoing vessel, the Viking Sky. The award-winning ocean brand is already making waves with a stunning set of luxurious hardware features paired with excellent service software that will be reprised in February 2017. Also coming online in February 2017 is Norwegian Cruise Line’s new Norwegian Joy for the Chinese outbound market. While it is not slated for North American travelers, we’re hoping its unprecedented go-kart racetrack on deck will make its way to the next Breakaway Plus-class ship, the Norwegian Bliss, coming to Alaska in 2018. Plussing the current flagship Silver Spirit’s design will be Silversea Cruises new Silver Muse in April 2017. Hallmark features of the luxury line will return while several additional restaurant options are introduced such as dedicated Asian and seafood dining, as well as an expanded pizzeria. One of two separate prototypes being constructed for MSC Cruises, the MSC Meraviglia will set sail in June 2017. The “ship for all seasons” will highlight a 262-foot synthetic LED sky above an interior promenade and showcase Cirque du Soleil performances in the Carousel Lounge. Not all the new ships are of the mega variety as Lindblad Expeditions will welcome the National Geographic Quest in June 2017 beginning expedition cruises in Alaska. The ship will cater to only 100 guests with 24 kayaks, paddle boards, snorkeling equipment and zodiacs for adventuring. Not slowing up at all, Viking Cruises will again launch the fourth of six planned ocean sister-ships, the Viking Sun, in October 2017. This one will almost immediately set out on the line’s first-ever 141-day world cruise from Miami, Florida to London, England starting on December 15, 2017. 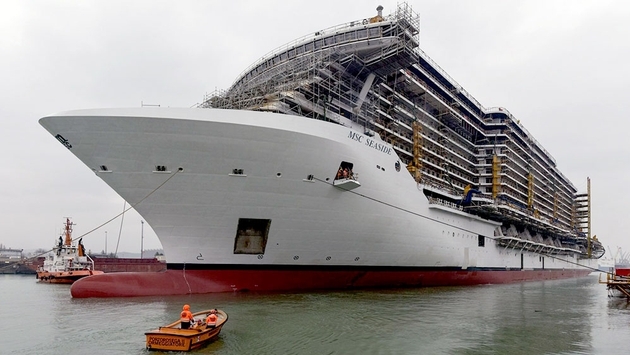 MSC Cruises other new prototype ship, the MSC Seaside, is being specifically constructed for warm-weather cruising year-round from Miami, Florida. It will begin sailing from its homeport in December 2017 with an expansive water park and wraparound al fresco boardwalk. The second ship next year dedicated to the Chinese outbound market will be Princess Cruises’ new Majestic Princess in late 2017. Already making changes from its earlier sisters, the ship will sport a French bistro in place of the Crooners lounge, a modification that might make its way to the fourth Royal-class ship as well. When Star Clippers’ new Flying Clipper launches in late 2017, it will be one of the smallest vessels to come out next year, but it will also be the largest square-rigged sailing ship. It will carry 300 guests within its 8,770 tons.